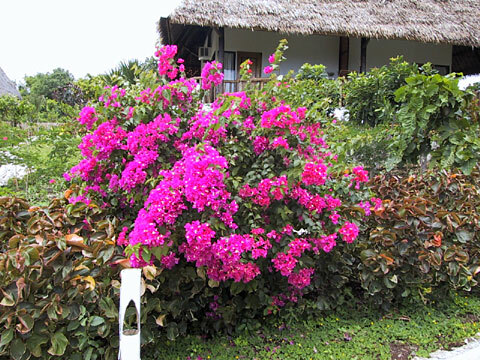 The bougainville (Bougainvillea spectabilis) Family: Nyctaginaceae, is a beautiful shrub, and because of its sharp thorns, it can serve very well as a fence. More effective and more attractive than barbed wire. Based on the rating of 52 users.